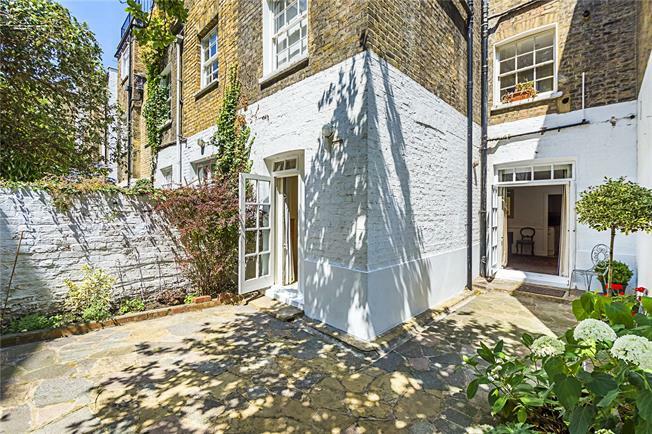 A sunny and well presented garden flat, with a generous sized south west facing garden, located on a tree lined residential street close to St. Gabriel's Church and Warwick square. There are two double bedrooms both with fitted cupboards and one centralised stylish bathroom with a separate and well equipped kitchen. The garden can be accessed through French doors from both the living room and the master bedroom providing an abundance of natural light. There are two handy vaults for all your storage needs including a utility room. The apartment lies in the heart of Victorian Pimlico on one of the areas most sought after streets and adjacent to St. Gabriel's Church. Local amenities, bars, shops and restaurants are all close to hand in nearby Pimlico. There are superb transport links including Victoria station (Gatwick Express, British rail, Victoria, Circle and District lines) with a further tube station in Pimlico (Victoria Line).